As seasoned gardeners will tell you, good plants start with good soil. If you treat your garden soil right, and you learn how to build it and not abuse it, your plants will thank you for years to come. Conventional wisdom has pointed to compost as the key. But what about those of us without the time or space for a huge, hot compost heap in the garden? 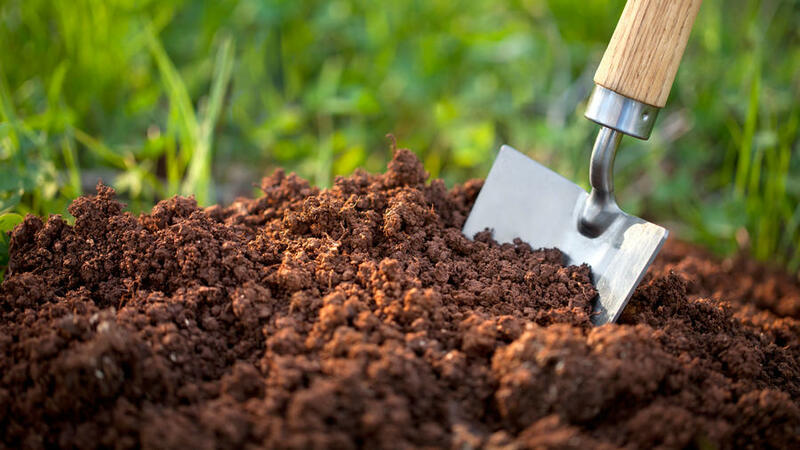 Here are two time-tested hacks to improve your garden soil when abundant compost isn’t an option. Deep in the woods you’ll see wildflowers and mushrooms sprouting out of dark, rich soil covered in decomposing leaves. For ages, gardeners have learned to replicate this process in the garden. When leaves start to break down, they offer an infusion of organic matter to the soil below, allow the ground to hold more water, and invite a huge population of beneficial organisms to go to town on improving your soil. Even the most urban gardener can usually get her hands on some leaves. Rake from the yard or nearby park, scrounge in your neighbor’s green bin, or scout for big trees before they lose their leaves. Simply cart your found treasure back to the garden, scatter as thick a layer of leaves as you can manage, and wait for nature to take its course. There’s no better way to improve your garden soil than to add organic matter, and with a cover crop you can grow your own. Also referred to as “green manure,” cover crops are plants that you grow with the express purpose of feeding the soil. Depending on your location and the time of year, there are lots of different mixes to choose from. In the spring and summer, a quick buckwheat crop is a great option, while in the fall a more complex blend of nitrogen-fixing legumes mixed with cereal grains is a better bet. Whatever you choose, the process is the same. Simply sprinkle seeds on the soil surface, rake in a bit, and watch them grow. When the plants grow tall and just start to flower, cut them down and fork into the top foot of soil. They’ll break down within a few weeks and you’ll be ready to plant.